Jackie Chan has appeared in numerous noteworthy movies, but he seems to be in top form when playing policemen. 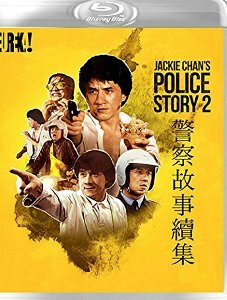 In a career filled with high points, the Police Story and Project A series feature most of Chan’s greatest stunts and best acting. 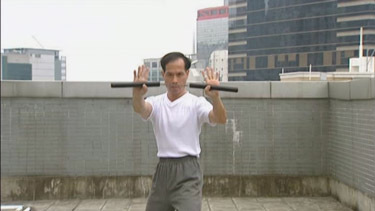 This is true even of the recent New Police Story (not connected to the other Police Story movies), which was a return to form for Chan even though he is no longer able to push his body to extreme limits. Chan is limited to playing a goof in the Rush Hour series and Shanghai Noon/Shanghai Knights, but he emotes mightily and credibly as a dedicated member of the Royal Hong Kong Police. 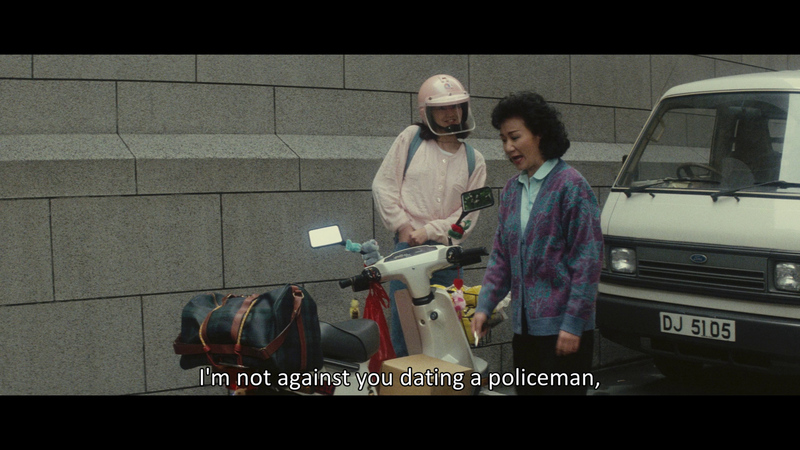 Police Story was defined by Chan’s stunning leap onto a light pole in the middle of a department store. That one stunt is probably his greatest moment. 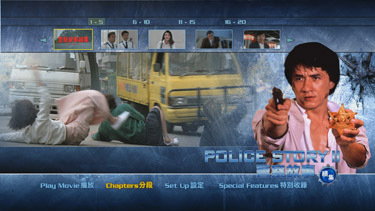 With Police Story 2, Chan tried to top the first movie’s department-store showdown with a brawl in an abandoned factory. However, since Chan has not yet found a way to top the light-pole stunt, the action is simply on par with what we saw with Police Story, though to be fair, the scale of destruction is impressive. 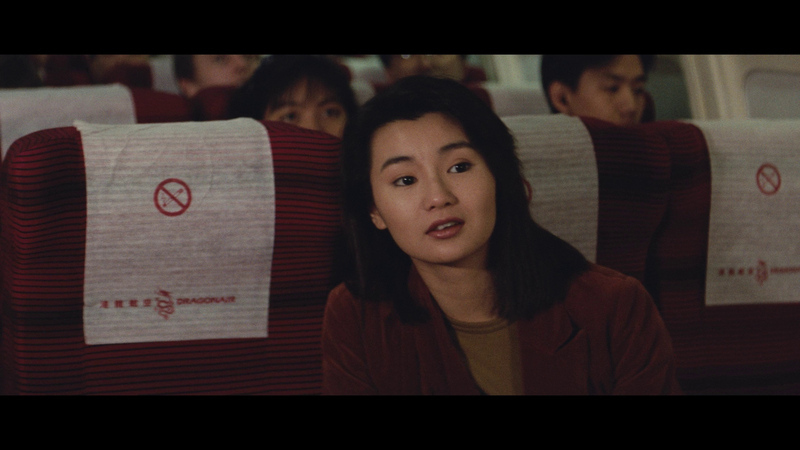 The movie’s strength lies in the further development of Ka-kui (Chan) and May’s (Maggie Cheung) relationship. Ka-kui is so dedicated to his job and so daring/reckless that May feels like an afterthought. Ka-kui and May nearly split, though when the villains kidnap May, Ka-kui finally learns how much she cares for him. Chan is at his best when his characters are forced into impossible situations; the sense of desperation and love that Chan and Cheung exhibit while being tortured is what makes the action so exciting. Because we genuinely care for characters that are simply trying to make a relationship work--something that we all do on a daily basis--we share Ka-kui and May’s commitment to each other and to justice. 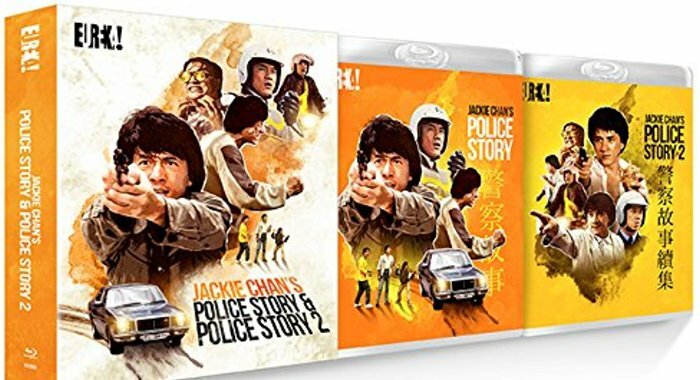 As noted in my review of the Blu-ray of Police Story, Fortune Star released a freshly remastered Police Story Trilogy for DVD in 2004. It arrived in a smartly crafted box, with each movie housed in its own sleeve plus a nice photo album – the sort of care and expense we see precious little of on Blu-ray from any studio. As we can see from the comparative screen captures, the Blu-ray for Police Story 2 appears to be drawn from the same source as Fortune Star's 2004 remastered DVD, but fares better than its predecessor. 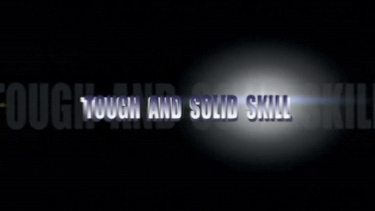 Compared to that DVD differences are not great, but at least they are consistent and in a positive direction. While generally soft, sharpness and detail varies with the scene – some seem shot with a fog filter, others are reasonably crisp and clear, with less smoothing applied, especially to faces. The color palette is on the pastel side with contrast far less aggressive than we saw in the first movie. 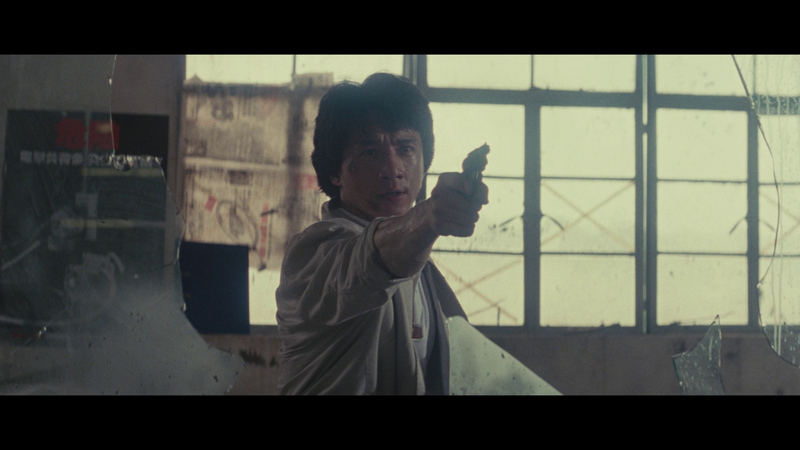 Gone is the tendency to overbrighten scenes seen on the Blu-ray for Police Story. Grain is present, but kept from overwhelming the image without heaps of DNR. 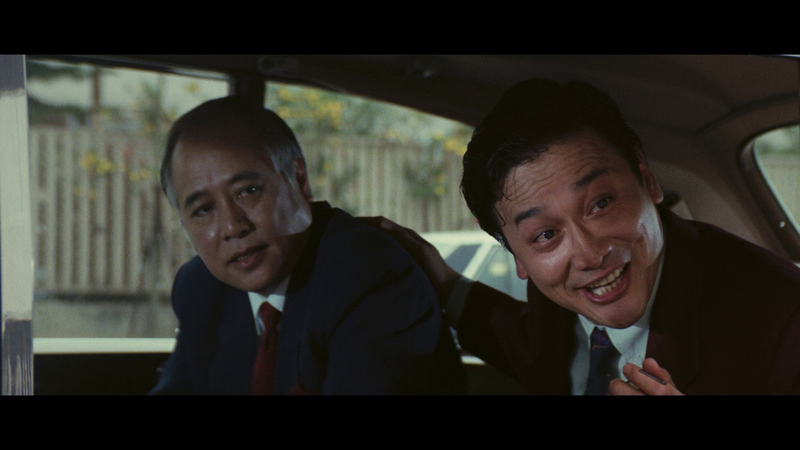 As with the original Police Story on Blu-ray, where the DVD was too cyan/yellow, the Blu-ray is too magenta. The same curious horizontal compression of the image at the sides on the DVD, where figures tend to narrow, is corrected to an extent on the Blu-ray. It's still evident, however, in shots such as in the locker room (see cap.) The bitrate is quite high, for all the good it does. A grudgingly acceptable presentation. 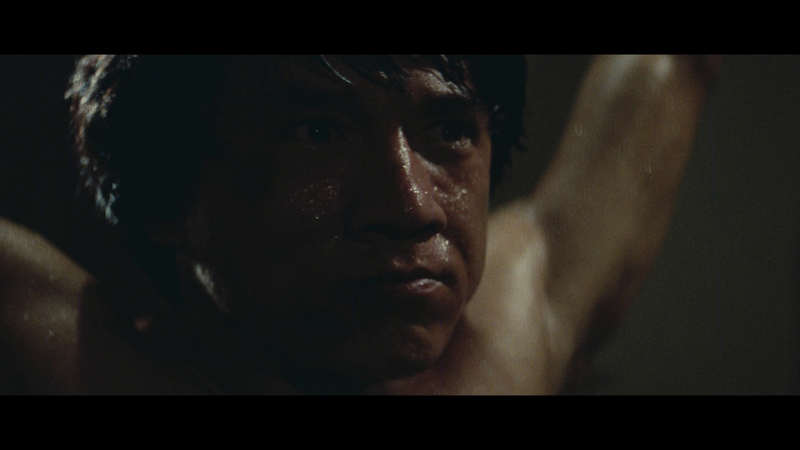 Not the same advancement in the image that we saw with Eureka's 4K-restored Police Story Blu-ray. The UK transfer is a thicker, more consistent image and, again, shows that the Fortune Star Blu-ray appears to be stretched. It is also the extended version. Some scenes look superior to others but overall seems more heavy and film-like. It's a new 4K restoration and may be the farthest the film can advance in this format, with the best elements utilized. There are times when the DTS uncompressed 7.1 comes remotely close to being worth the trouble, as when a caravan of trucks lumber down the highway or when rain is drenching the scene (as contrasted from when it is heard from under the protection of a pavilion ceiling.) Then there are times when the foley work is positively laughable, as when Chan and his superior are walking across a hotel lobby and, despite the visual presence of others, these guys are the only ones whose footsteps we hear. The lack of differentiation among body blows is a hallmark of this generation of martial arts movies: there is nothing about the Blu-ray that modifies this. Dialogue is clear enough, though sounding as if under some pressure. The Dolby Digital EX track, while closer to the original, has the misfortune of lacking ambiance in some scenes to the point that the added foley effects feel disconnected from the action. Original Cantonese Mono audio, along with restored Cantonese and English 5.1 options - the latter at 24-bit which advances upon the Fortune Star. Effects have some separation but more notable is the abundant depth. 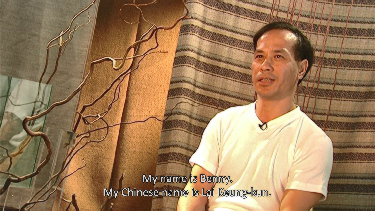 Optional English subtitles. The package is Region 'B'-locked Blu-ray. The HK Blu-ray for Police Story II includes an interview with stuntman and actor Benny Lai. 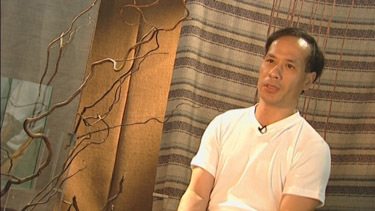 Lai talks about his career as a martial artist, specializing in kicking and his work with Jackie Chan's stunt team. 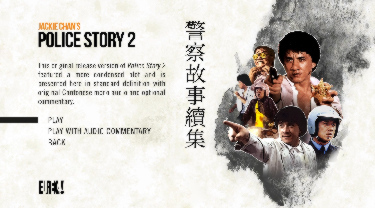 Police Story II offered Lai his first opportunity as a "visible" supporting character, the deaf/mute pyromaniac. The feature is presented in very good quality SD with alternating aspect ratios. 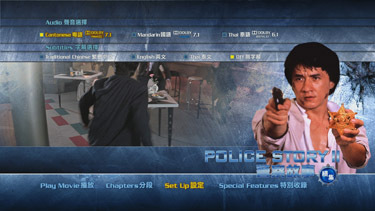 Extras include Police Story 2: The Original Hong Kong Version (1:46:08) which is the original cut of Police Story 2, presented with it's original Cantonese mono audio track and optional English subtitles plus an optional commentary with Miles Wood and Jude Poyer (on this Hong Kong Version of the film). 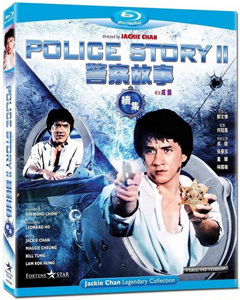 Also included are Police Story 2: the original UK Version (1:35:52) which is an alternate cut of the film created for the film s UK VHS release, featuring a unique English dub track. 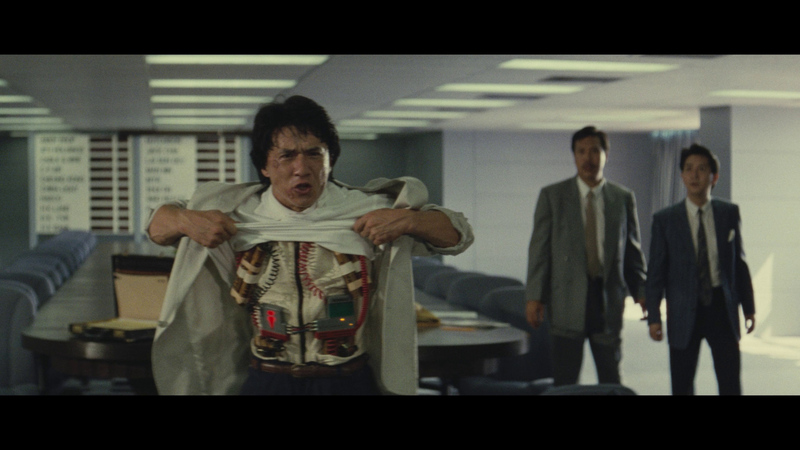 "Jackie Chan" - Son of the Incredibly Strange Film Show runs over 41-minutes. Repeated is the archival interview with Benny Lai for 1/4 hour plus Outtakes and alternate Outtakes, trailers (original 4:01 - alternate - 1:54) and a collectors booklet feat new writing on the film & rare archival material. 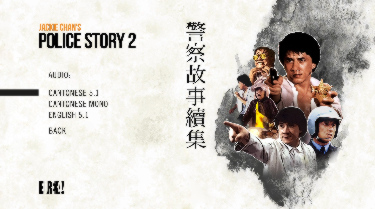 There are also all the extras of the first Blu-ray Police Story. Fortune Star’s new Blu-ray is a modest step-up from their remastered DVD of 2004. 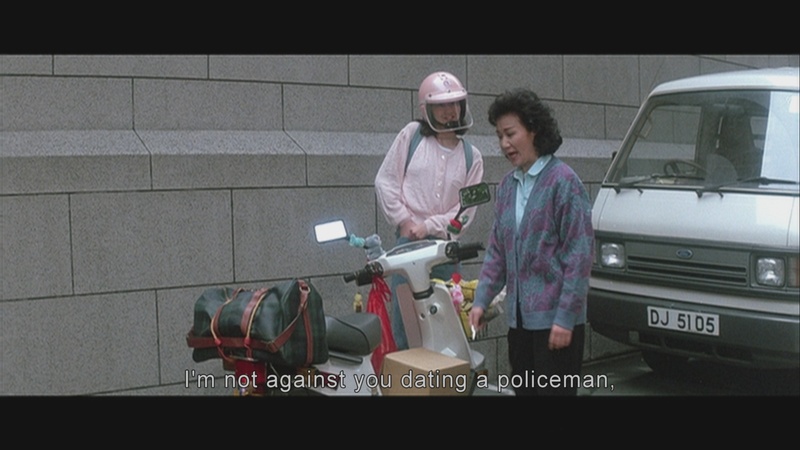 As compared to the original movie on Blu-ray, Police Story II has fewer annoying technical mishaps. If you already have the remastered DVD as part of the Trilogy, I wouldn’t say the Blu-ray is worth the price of an upgrade, but at least it is an upgrade. The package is great for Jackie Chan fans. The Eureka is easily the one to own - 4K restored, stacked with alternate versions plus a first, more improved, Blu-ray of Police Story. Great job Eureka!